Richmond Rugby Village gears up for the Quarter Finals! 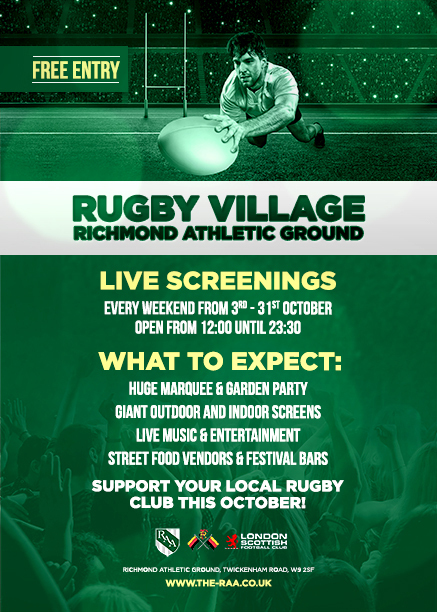 Come and join us at the Richmond Rugby Village every weekend this October! 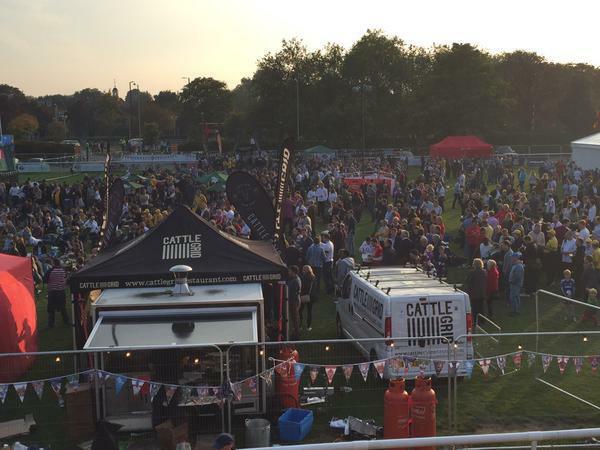 We have 3 giant screens (2 outdoor and 1 indoors) a 30m Fullers & Guinness bar, festival catering, live bands and biltong! 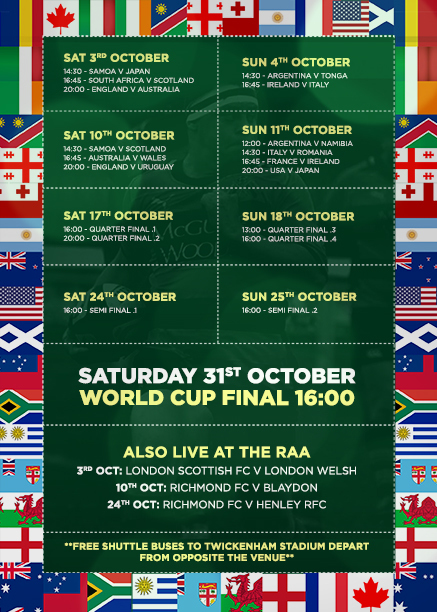 Join us for Wales vs. South Africa (broadcast from 3pm) followed by New Zealand vs. France. 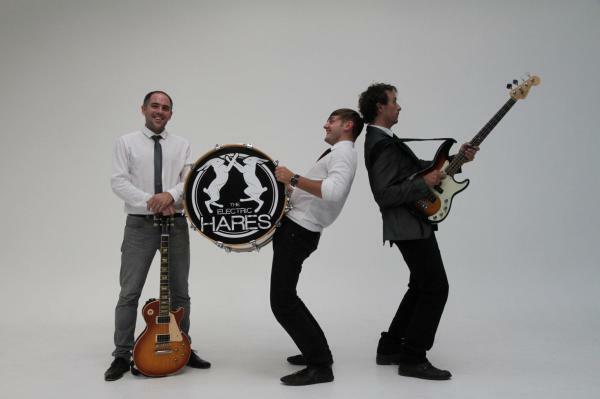 On Sunday, we have a live band, The Hares, as well as our very own bagpiper was Scotland build up to take on the Wallabies in Twickenham. There's plenty for everyone and enough Guinness for all our Irish friends who can catch their quarter final vs. Argentina on Sunday. Remember, it's free entry and we are open until 11pm in the Rugby Village while our club bars will remain open until midnight.